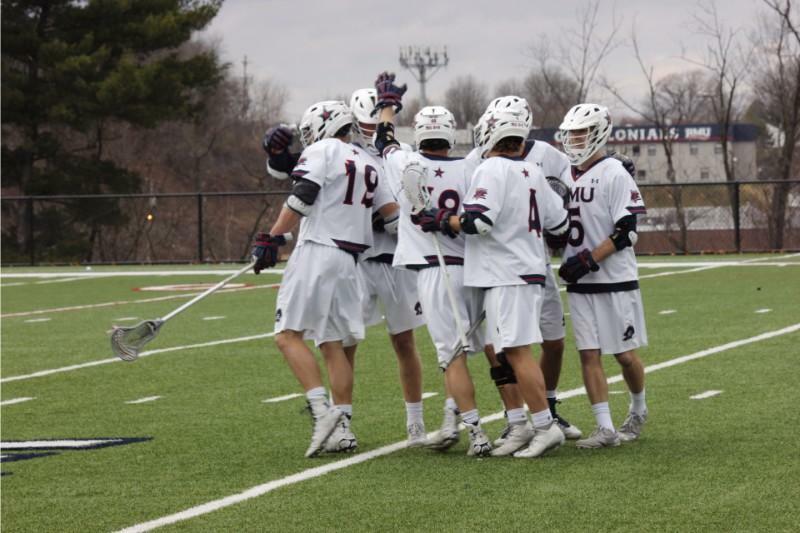 MOON TOWNSHIP – The Robert Morris University men’s lacrosse team (0-2) has gotten off to a rocky start to the 2019 regular season. After two consecutive losses, the most recent one being 14-11 against no. 17 Georgetown (2-0), Robert Morris will try for a third time to get their first win of the year when they host the Bellarmine University Knights (0-3) at Joe Walton Stadium on Saturday at noon for Robert Morris’ home opener. Robert Morris lost its season opener against the no. 9 Penn State Nittany Lions (3-0) back on Feb. 9. The Colonials then lost again last Saturday to the no. 17 Georgetown Hoyas by a close 14-11 final score. Though non-conference play doesn’t affect what RMU does to get into the NEC tournament, Robert Morris is currently tied for last place in the NEC standings with Mount St. Mary’s Mountaineers (0-2). In RMU’s last game with Georgetown, attackmen Ryan Smith managed to score three goals with one assist. Two of the goals that Smith scored in the game were scored under his own power as he made them unassisted. After two regular season games, Smith has managed to score four goals with two assists for a total of six points. Robert Morris had 44 shots compared to Georgetown’s 41 shots. RMU also made 26 shots on goal, which is one short of the Hoyas’ 27 shots on goal. Due to RMU’s offensive efforts with their shots and shots on goal, Georgetown had to make two more saves than RMU with 15, whereas the Colonials only had to stop 13 shots coming their way. RMU, meanwhile, had a couple more turnovers than the Hoyas with 14 compared to Georgetown’s 12. RMU was also very close with Georgetown on the number of ground balls that they caused. The Colonials caused 28 ground balls and the Hoyas caused 29. Bellarmine is currently coming off an ugly 17-8 loss at the hands of the Cleveland State University Vikings (1-2) last Saturday. This was the Knights third consecutive loss in non-conference play. The Knights only managed to have 13 shots on goal, whereas the Vikings made nearly three times the amount, with a total of 35 shots on goal. As for ball security, the Knights had 20 turnovers where CSU had 23. Lastly, Bellarmine had 22 ground balls and CSU had 39 ground balls. Ryan Smith (RMU): Smith, as mentioned previously, scored three goals in the Colonials’ loss to the Georgetown Hoyas, but after helping the team score four goals in two games, he is tied with Tyson Gibson for the team lead, Smith has a legitimate shot to be one of RMU’s top attackmen this season after looking at his performance against the Hoyas. In 2018, Smith had 17 goals with 13 assists to total 30 points. Smith also had 51 shots with 29 of them being shots on goal. If Smith can step it up through the rest of the 2019 season, he is someone to keep a close eye on, starting with this upcoming game against Bellarmine University. Corson Kealey (RMU): Corson Kealey could be someone who can make great strides in 2019. In 2018, Kealey played in 18 games and started six of them. He managed to score 16 goals with 10 assists to add up to 26 points. Kealey also attempted 41 shots with 30 of them making it on goal. 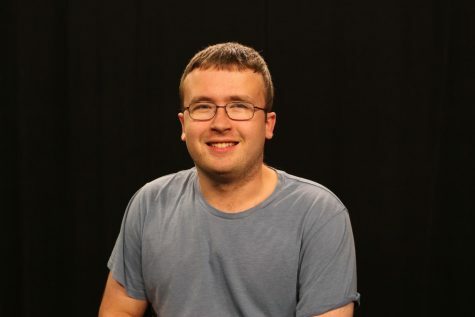 In the two games played so far in 2019, Kealey has started and played in both games, and in these games, he has scored three goals. Kealey can continue his solid start to his sophomore campaign in the game against the Knights. Landon Trout (Bellarmine): Trout, so far in 2019, is considered to be one of Bellarmine’s top performers. In three games that he has started for the Knights, Trout has six goals and two assists for a total of eight points. Trout also has 25 shots and 15 shots on goal. In his most recent game against Cleveland State, Trout managed to score two goals with one assist in the loss. As a current sophomore who is a top performer through three games, he is a player to watch for the Colonials. Morgan Macko (Bellarmine): Macko is a junior attacker who is on the same path as Trout in regards to performance. Macko through three games in 2019 has played and started in all three games. He also scored five goals with three assists for eight points. He is second on the team in shots with 18. In 13 games played in 2018, Macko scored 15 goals with 10 assists for 25 points. Macko also had 47 attempted shots with 30 of them ending up on goal, Macko is someone the Colonials will need to keep an eye on in the defensive end. I predict the game to end in Robert Morris’ first victory of the 2019 season with a drastic 20-9 win over the Bellarmine Knights. The Colonials’ first two games of the season were both against nationally ranked opponents, so in a game against a non-ranked opponent, Robert Morris can make some noise. Ryan Smith and Corson Kealey are two players for RMU to watch, and with the skills they bring to the table, they can be a real threat in what could be a big win for Robert Morris.